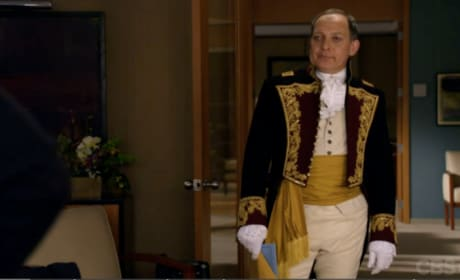 David Lee is far from happy in this Good Wife scene. Not only is an ex-client suing the firm, but he learned about it mid-performance! 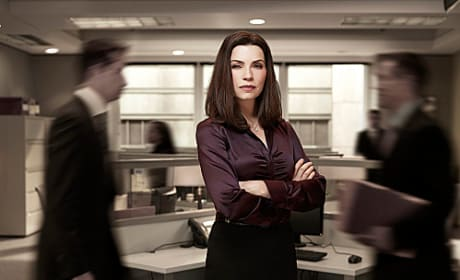 Julianna Margulies poses here as Alicia Florrick, the role that has won her an Emmy. A well-deserved one, we might add. 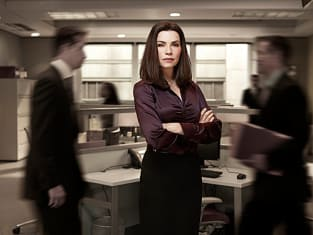 The Good Wife Round Table: "Alienation of Affection"